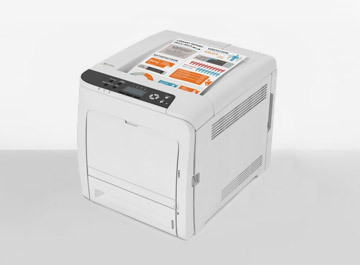 The highly productive Aficio™SP C340DN prints 25 colour and black-and-white pages per minute, with no loss of speed when printing in duplex mode for double sided output. 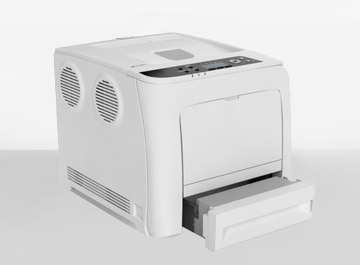 Paper up to 220gsm as well as envelopes, labels, card stock and Banners can be printed on by this versatile colour laser printer. 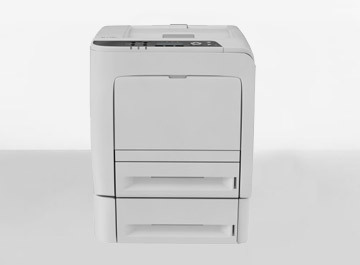 Print resolution is excellent at 1,200 x 1,200 dpi producing high-quality colour documents. Paper capacity is an outstanding 1,100 sheets when the bypass and optional paper trays are installed. Mobile print and smart display.